Odin is the King of the Gods, associated with magic and wisdom. 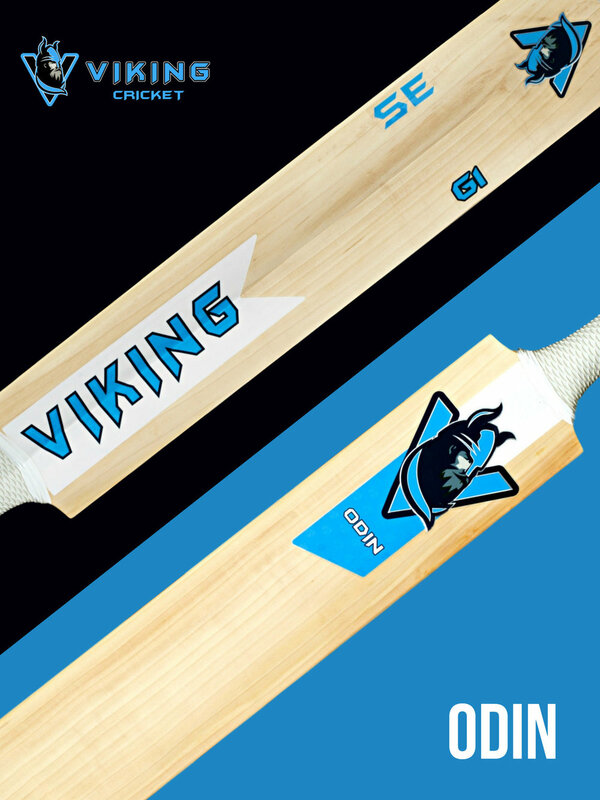 Our Odin bat is a classic batsmens weapon. It's full bodied shape with long high spine and Viking duck bill which makes for a large hitting zone perfect for the stroke maker and gives you the power needed to drive the ball with ease. While lightweight in pickup it is balanced to perfection to allow you to never miss your target. The Odin features a 3D embossed logo and a matt and gloss finish. This bat doesn't just look good, it's what all batsmen deserve.